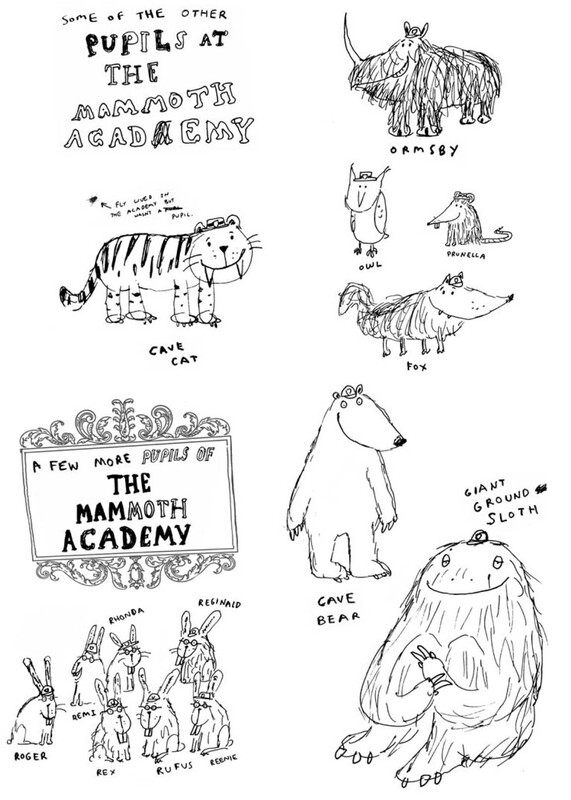 Mammoth Academy | Books about Oscar and Arabella and their friends – and enemies . . . 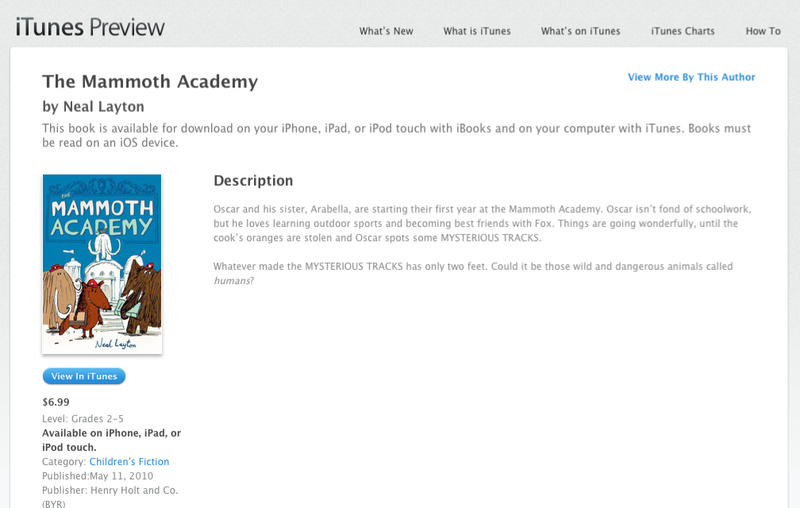 The US editions of Mammoth Academy and Mammoth Academy in Trouble are now available as eBooks for iPads, iPhones or Kindles! 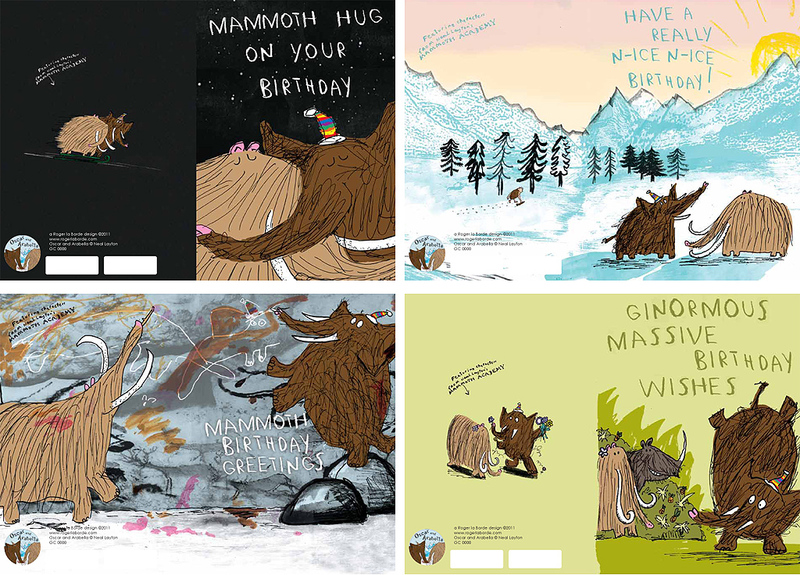 Now you can find Mammoth birthday cards and notecards in the shops. A card company called Roger la Borde have published a range of four cards which we think look very exciting. You can see more on their website. 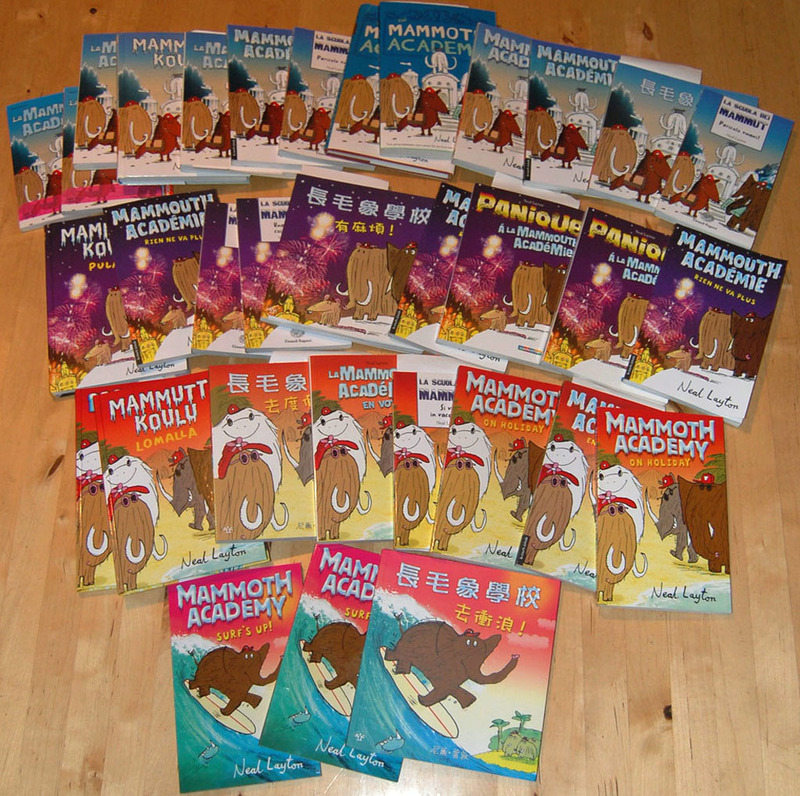 Suddenly, copies of the books started to appear in other languages. So many, that we had to take a photo of them to show you. The postman keeps on bringing more, and Neal likes to think of children in China, Canada, Italy, America, France and Japan, Denmark, Spain and The Netherlands, all reading about Oscar and Arabella. 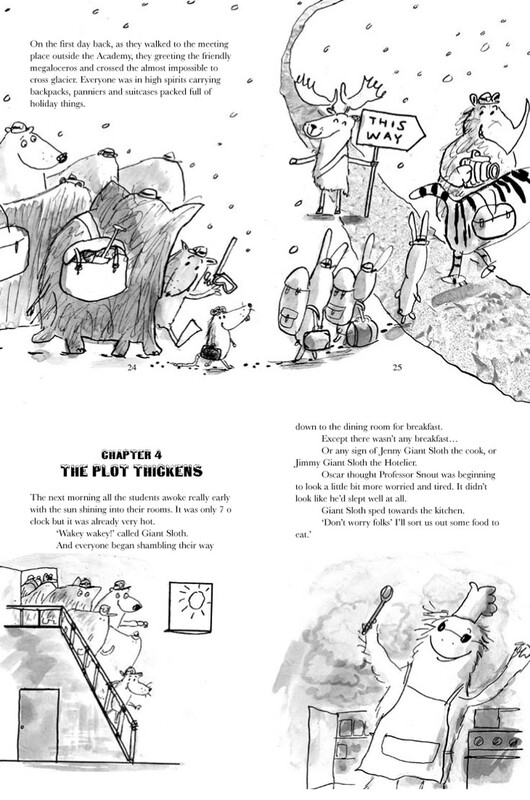 In the fourth book the mini woolly mammoths, Simon and Simone save the day. 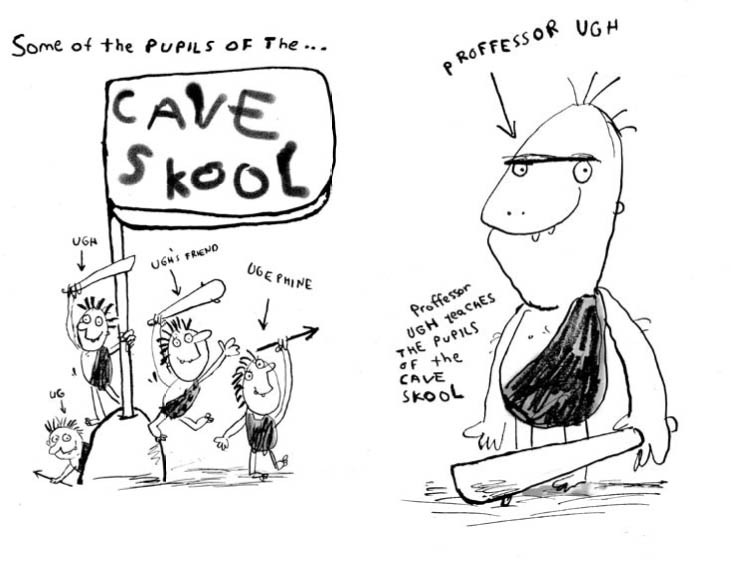 It’s just as well because the pupils of Cave Skool are just as annoying as ever. 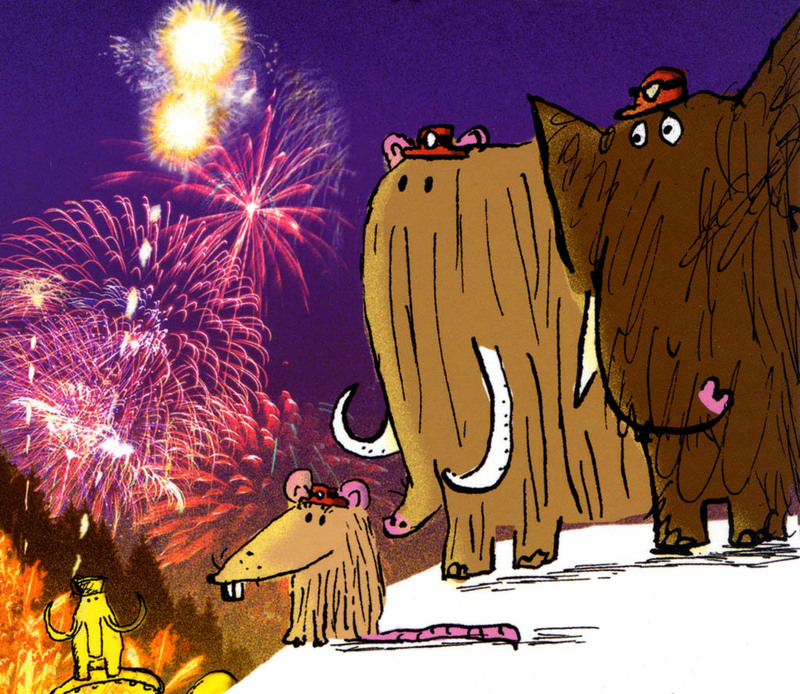 This is the third book about the Mammoth Academy – and it’s time for all the students to go on a school trip. When Oscar and Arabella go back to school after the holidays there are all sorts of surprises for them. And the cave men are behaving very badly indeed. 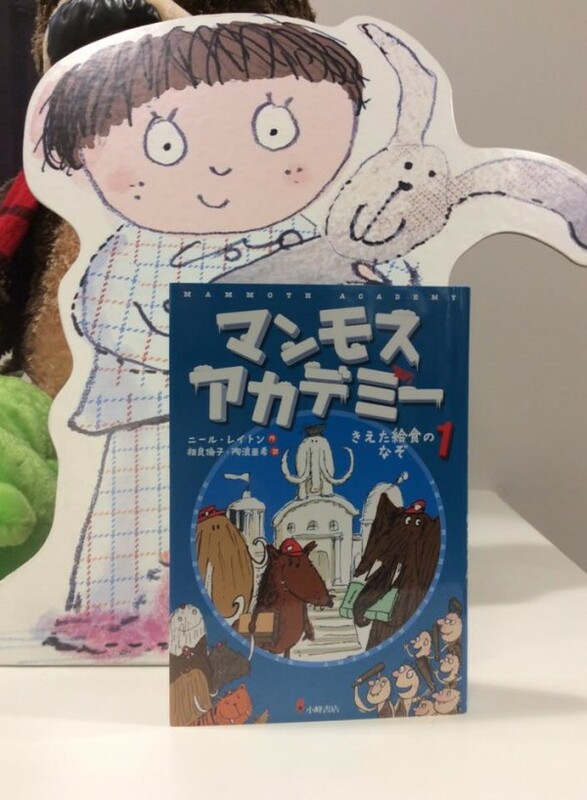 This is the second book about their adventures. 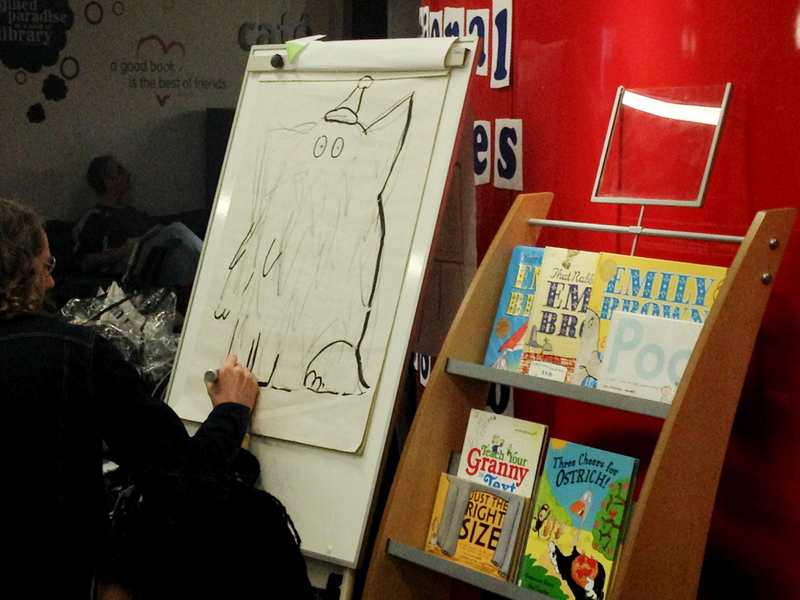 The three picture books about Oscar and Arabella (and Ormsby) then started to be read by children in other countries. Children in France, America, Korea, Denmark, Japan and the Netherlands were reading about them so Neal decided to keep going. 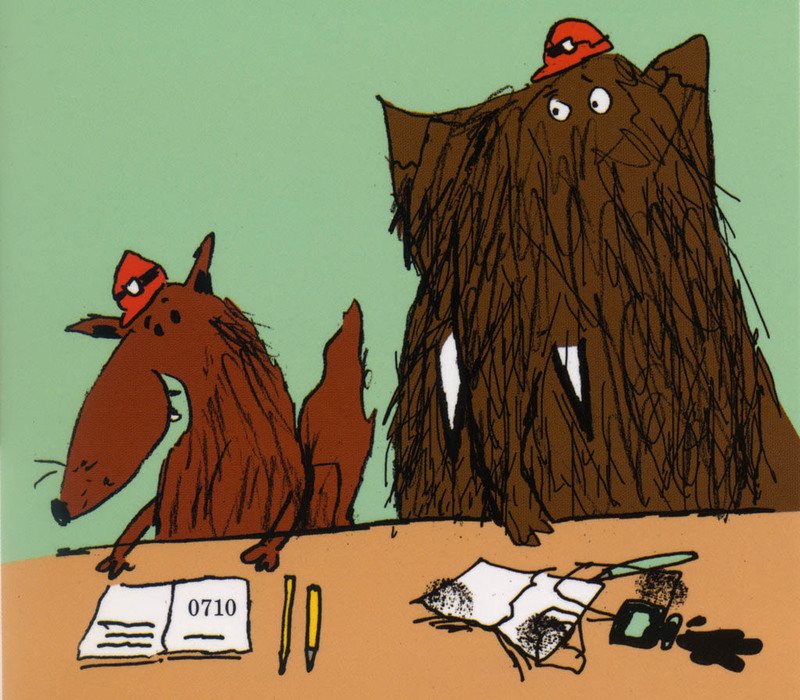 He decided to write some stories for older children, and that’s when he had the idea for the Mammoth Academy. Oscar and Arabella could go to school, meet more people, have more adventures – and with any luck they would still avoid the cave men. One of Oscar’s special friends was called Fox. Smelly, but good fun.